Chinese consumers in the country's frigid northeastern region will soon have another Apple Store to visit, as the company is set to open its second location in Shenyang on Saturday. 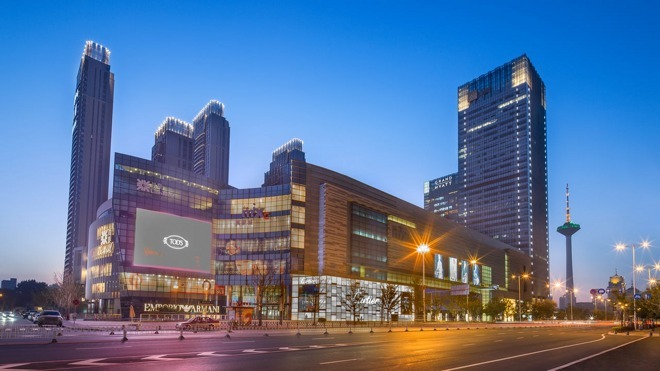 Shenyang's variant of the nationwide MixC mall chain will be home to the latest Apple Store, the iPhone maker announced this week. The new store will open on January 9 at 10:00 a.m.
After blanketing China's largest cities —Shanghai and Beijing, which have nine official retail stores between them —Apple's Chinese retail expansion has followed an unpredictable path. Industrial areas like Chongqing and Shenyang now boast multiple first-party Apple Stores, while some wealthier cities have none at all. For instance, Guangzhou —China's third-largest city and the capital of the prosperous southern province of Guangdong —is still without an Apple Store despite years of rumors that one would be forthcoming. Guangzhou residents must make the one-hour drive to Shenzhen or semiautonomous Hong Kong to visit an official Apple Store.